As Sydney and Melbourne see an uptick in coworking spaces, as these cities boast the most per capita in the world, others are cashing in on this wildly popular office style. While advertisements for these outfits typically feature well-coiffed urbanites strategically positioned in various parts of the office, the coworking space offers renters more than belonging to a workplace full of such handsome people. In fact, coworking’s popularity is in part related to the fact that a lot of the work of drumming up business gets done. However, because coworking spaces often take on a character of their own, each one is very different and unique from the others. Furthermore, to benefit from these spaces, prospective businesses have to know their needs to really choose the most appropriate space. Those new to the coworking craze can find suitable office space by paying attention to a few factors. Continue reading below to learn more about the way coworking can work to your advantage, even for beginners. For those new to coworking, the concept is one that simply allows professionals from a diverse array of industries to work in one space. Usually, these spaces are fitted out with comfortable furnishings and standard office equipment. A major feature of these offices are the hot desk and dedicated desk, which can be the source of much social activity. To see one example of the way many coworking spaces are organised, visit Servcorp Australia’s coworking space - http://www.servcorp.com.au/en/coworking/. 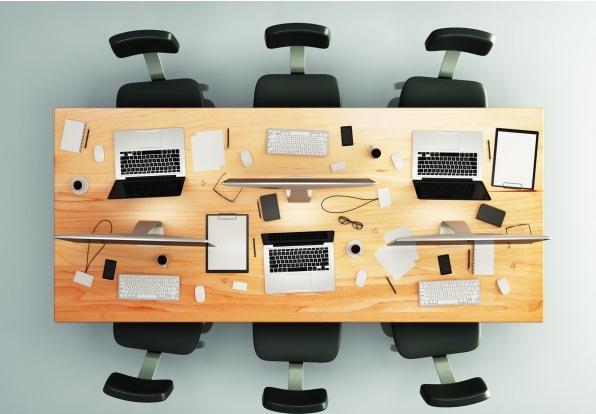 The advantage to adopting this office format is that it saves businesses loads of cash in overhead because, as opposed to leasing an entire office, you simply rent the use of desk space, office equipment, and IT services and other amenities. Moreover, because you are only renting the use of space, you only pay for what you use, as opposed to paying to lease an office for an entire month regardless if you go to the office every day. However, there are other advantages to coworking. Many coworking spaces have traditionally attracted startups simply because of their affordability. However, SMEs and larger businesses see the advantage of employing the coworking space as an alternative. In essence, any business can benefit from the coworking format because it provides professionals with the opportunity to use space more effectively. Of the many advantages, coworking provides businesses with a community that can serve as a foundation of support. Because the community places both work and networking as a priority, social interaction and engagement create the opportunity for professionals to become a part of a smaller business community. Endemic of all coworking spaces are social events that galvanise businesses and position professionals to benefit from building valuable business relationships, namely mentoring relationships. Mentors and other connections can really be the foundation of raising your business’s profile and creating business growth. While many spaces are open to any industry, Australia has seen the proliferation of niche and industry-specific coworking spaces. For example, a few coworking spaces are geared toward tech-industry business. In an attempt to serve this industry, all of the resources and events focus on helping businesses within this industry grow. Moreover, some coworking spaces focus on a particular platform. Green coworking spaces, for example, are geared toward businesses with an eco-friendly mission. Finally, because these spaces promote a particular industry, you might find that some coworking spaces interview applicants before allowing them entry into the workspace. Ultimately, you have the option of looking for spaces specific to your industry or mission. Because of coworking’s versatility, professionals from all industries and of all sizes can benefit from this office format. The space provides professionals with the opportunity to mix work with networking within a supportive community. Finally, coworking provides businesses with the opportunity to raise their profile in a safe, nurturing environment.